The Chain Knot, a larger variation of our iconic Knot minaudière with a slim shoulder strap, is new for the season in intrecciato nappa. The design is finished with a smooth nappa frame, a suede-lined interior and the antiqued gold knot fastener engraved in the intrecciato motif. 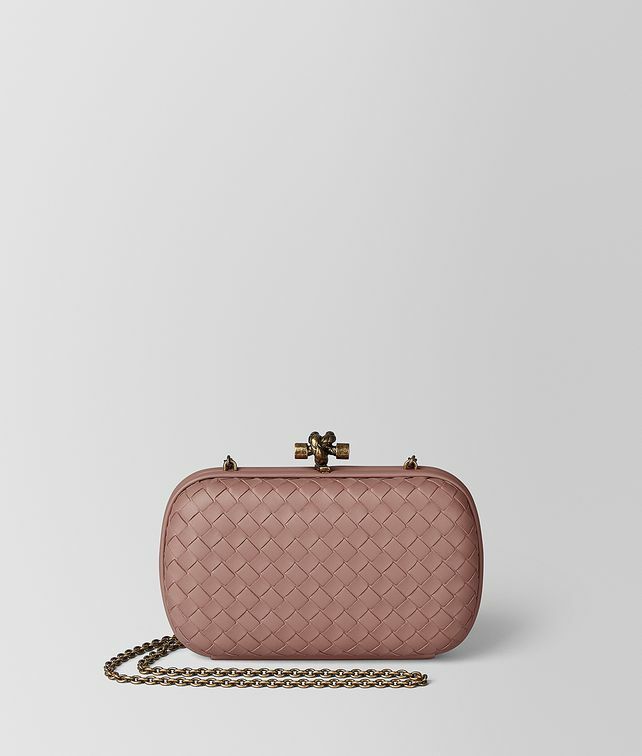 Wear it on the shoulder or tuck the chain strap inside to carry it as an evening clutch. Height: 12 cm | 4.7"
Width: 20 cm | 7.9"